Hello! 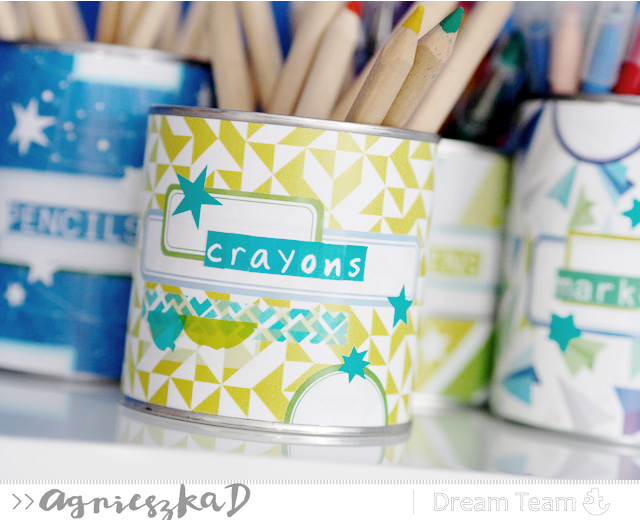 It's Agnieszka here and today I would like to show you a new colorful desk organizer for my daughter. 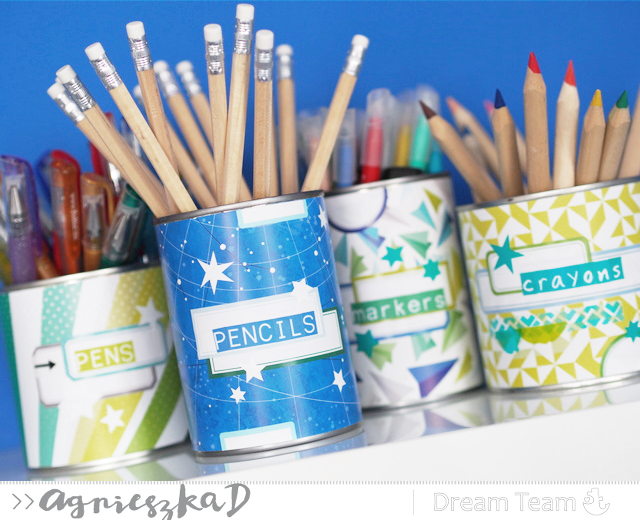 I turned left over cans into pen holders with ST pretty papers and stickers. 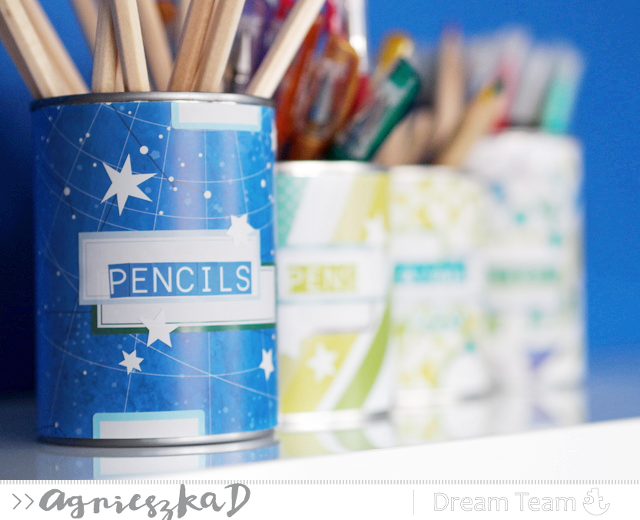 A can is probably one of the easiest things that you can upcycle . They're everywhere! Świetny pomysł i wykonanie. Fajnie to razem wygląda.